One of the premier clubs in the West of Scotland! Its situation is excellent, commanding a fine prospect of hill and dale. The contour is more than gently undulating and there is never the faintest suspicion of monotony at any part of the green. Meantime, Whitecraigs is not easy. Visitors are given a warm welcome and are free to use all of the club's facilities. 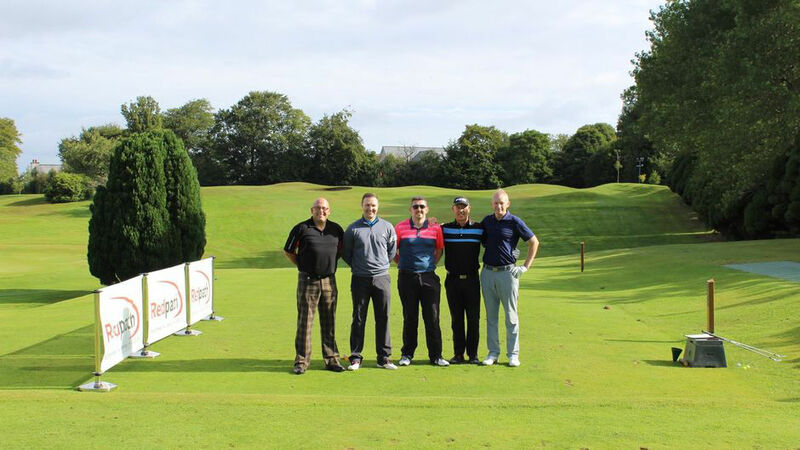 If you are organising a society or corporate outing Whitecraigs is the ideal location. Our clubhouse and catering facilities can accomodate both small and large parties. To book a golf event please complete the on-line booking form on the Visitor's page or contact us on 0141 639 4530. Intrested in advertsising with us? 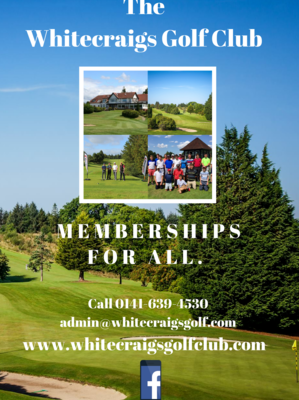 Then email admin@whitecraigsgolfclub.com to find out what we can offer! 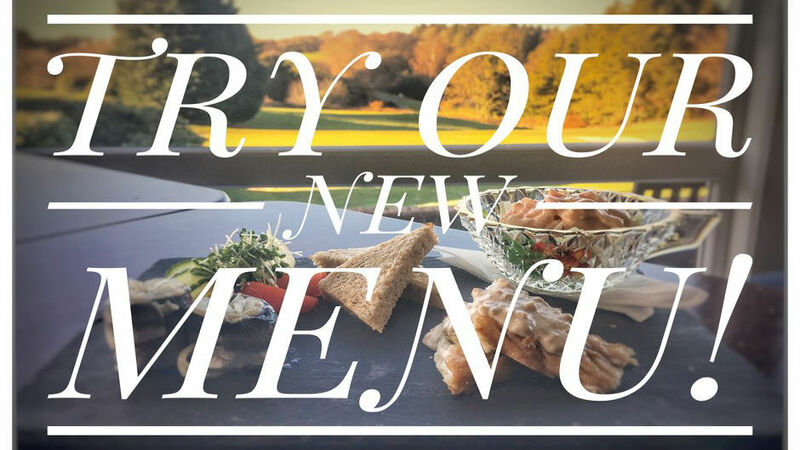 For lunches and dinners, or perhaps just a light snack before your round, we can cater for all tastes. Larry and his team specialise in good food and friendly service, and our bar and dining room menus offer a wide range of starters and main courses. We can also cater for special occasions such as a birthday or anniversary. Private parties are welcome, but these can only be arranged through an existing member of the club . To book a function or reserve a table in the Dining Room call us on 0141 639 1795. Click for Catering Hours . This includes 10 group coaching sessions with a twist, led by our fantastic Professionals! Wee Wonders also have access to the Par 3 Wee Course and clubhouse all for £72 per annum! 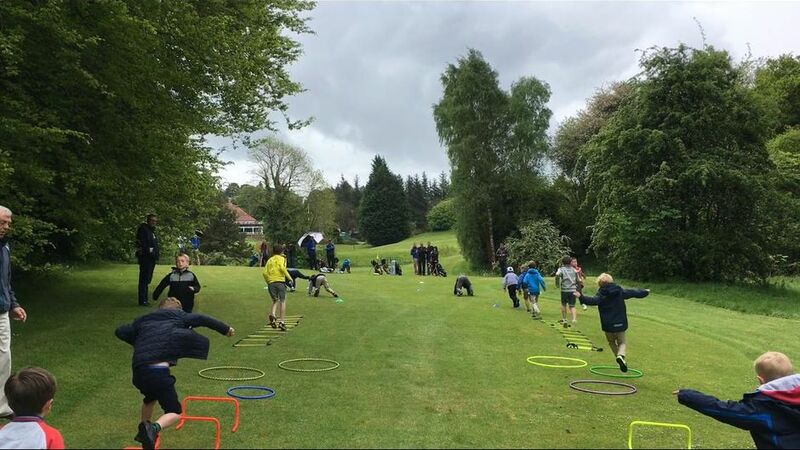 Adults who are new to the game can benefit from our "Get Into Golf" programme. This includes lessons, access to the Par 3 course, practice area and clubhouse for only £162 per year! To view our Par 3 course photo gallery click here . For further information, please call us on 0141 639 4530.